The US Supreme Court opted to change the voter identification rules in North Dakota just weeks before the midterm election — a decision that could keep thousands of mostly Native American voters from casting a ballot. Democrats tried to expose some of his more conservative views, but Supreme Court nominee Brett Kavanaugh hid behind the fine print. Five years ago, a US Supreme Court decision had the practical effect of making it harder to vote in many states. Americans are still dealing with the consequences, and it’s only getting worse. The work of the US Congress is on display for anyone desiring to tune in. But why are federal courts largely exempt from this public scrutiny? 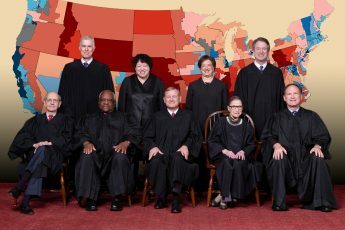 By taking the issue of gay marriage off the table once and for all, the Supreme Court provided Republican White House candidates with an opportunity to move on. But evangelical Christians will likely remain on the losing side of history.